We aren't fighting rebels, nationalists, or patriots in Iraq. We are fighting criminals and bandits in Iraq. At least that is what we are told. "Bandit" is a very interesting term. It implies that we aren't actually fighting a war against a legitimate military foe, but are instead just hunting a group of outlaws. Thus the rules of war don't apply. Bandit was the term used by America when it occupied Nicaragua from 1925 to 1933 and failed to quash the Sandino Revolt. But where did the American propaganda machine create that term from? It turns out that we learned it from Haiti several years before. I want to introduce you to yet another American military occupation that the authorities would prefer you forgot. P. 198 of Antoine book on Price-Mars name cacos came from the DR and signified peasants in revolt. On February 25, 1915, Vilbrun Guillaume Sam seized power in Haiti in a military coup. This ruthless thug had no power base. Thus, when he began getting too friendly with American commercial and military interests a revolt broke out. Afraid that he would end up like his predecessors, dictator Sam had all 167 political prisoners being held in a Port-au-Prince jail executed on July 27, 1915. The people of Haiti rose in revolt and forced Sam to flee to the French embassy. The mob stormed the embassy and found him hiding in a toilet. They literally tore his body to pieces. Thus dictator Sam's rule ended after just five months. The chaos that followed threatened the interests of the Haitian American Sugar Company (HASCO), which got President Wilson's attention. Also, the Haitian government was deeply behind on its debts to American banks. Officially the reasons why America got involved was because a) we were afraid that Germany might use the chaos as an excuse to invade Haiti, and b) the American government was horrified at the violence committed against the Haitian dictator. Both reasons don't pass the smell test. As for Germany, invading Haiti while engaged in a two-front war in Europe was far-fetched by any measure. And as for the violence against the dictator, remember that this was 1915 and most Americans at the time had very little problem with a black man being lynched. The very next day a marine detachment of 2,000 was ordered to Haiti. One of these marines had already created a name for himself, Smedley Darlington Butler. It was in Haiti that he truly distinguished himself as a leader of men. 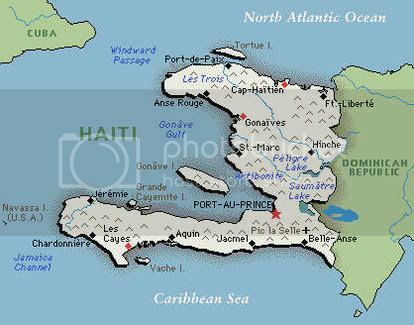 Port-au-Prince and most of southern Haiti allowed the huge neighbor to the north to occupy the country. But northern Haiti was home of the "cacos" (“or bad niggers as we would call them at home.” - Smedley Butler). In the local dialect cacos means "bird of prey". They feared no army, despite being armed with just machetes, pikes, and 19th Century firearms. The didn't grasp guerrilla warfare, despite that being their only viable option, and decided to attack the marines head-on. In other words, they were hopelessly out gunned and out trained. It didn't take long before the cacos had retreated to Fort Rivière, an old French fortress that was perfectly situated for 18th Century warfare. The first Cacos War was over and Smedley Butler received his 2nd Medal of Honor as well as being appointed commanding officer of the Haitian Gendarmerie. Now that the first Cacos War was mercifully over, America decided to set up a representative government. A few weeks later, the US State Department installs Senator Philippe Sudre Dartiguenave as the head of state. “When the National Assembly met, the Marines stood in the aisles with their bayonets until the man selected by the American Minister was made President,” Smedley Butler, a Marine who will administer Haiti’s local police force, later writes. The man selected was Philippe Sudre Dartiguenave and he would be president of Haiti for the next seven years. Soon after assuming office he was presented with a treaty written by the American government and told to sign it. The treaty legitimized the American occupation, as well as gave U.S. control of Customs (something that America had requested just a year earlier) and appointed an American financial adviser (who at one point withheld the pay of the Haitian legislators). For some silly reason the Haitian legislature held onto the quaint notion that they should work for the interests of the people of Haiti. So when America drafted a new constitution for Haiti in 1917 which excluded a "provision from the country’s previous constitution which had prohibited foreign ownership of land" the Haitian legislature rejected it and began crafting their own constitution which would reverse the terms of the 1915 treaty. They even began moving to impeach Haitian President Dartiguenave because he failed to oppose the U.S.-drafted constitution. Dartiguenave asked Smedley Butler to use the marines to dissolve the Haitian legislature just before they prepared to vote on the new constitution. The U.S.-written constitution is submitted to a popular vote in June 1917 and it passes overwhelmingly. Of course only 5% of the population was eligible to vote. "The Americans taught us how to build prisons. By the end of the 1915 occupation, the police in the city really knew how to hold human beings trapped in cages." One consistent theme of the Haitian Occupation was the blatant racism of it all. Secretary of State William Jennings Bryan infamously said of the Haitian elite "Dear me, think of it! Niggers speaking French." State Department Counselor Robert Lansing believed that "[t]he experience of Liberia and Haiti show that the African race are devoid of any capacity for political organization and lack genius for government. Unquestionably there is in them an inherent tendency to revert to savagery and to cast aside the shackles of civilization which are irksome to their physical nature."' And Assistant Secretary of State William Philipps bemoaned "'the failure of an inferior people to maintain the degree of civilization left them by the French." Of course the racism went beyond simply words. Jim Crow laws were imported from the American South to Haiti. Newly arrived U.S. personnel insisted on segregated hotels, restaurants and clubs. Curfews and press censorships followed. The worst example of this was the reinstitution of the corvee system. Haiti in 1917 had only 3 miles of paved roads outside of main cities. In order to more effectively control the country, the American military needed roads. To build the roads they needed labor. Thus they went back to the days of French colonialism to force Haitians to perform unpaid labor building roads three days a month. Anyone who knows anything about Haitian history knows the brutality involved in the Haitian Revolutions. One third of the population of Haiti died fighting both British and French troops in the longest, bloodiest slave revolt in history. In order to win their freedom from slavery, Haitians endured hardships and atrocities that Americans could not even imagine (the French "civilization" that William Philipps spoke of involved burying people alive as well as boiling them alive in pots of molasses). To reimpose the corvee system in Haiti shows an incredible insensitivity that could only exist in a racist mind. The reaction was predictable and inevitable. "Drive the invaders into the sea and free Haiti." 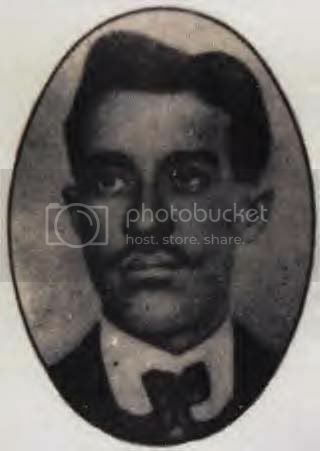 Charlemagne Masséna Péralte was born October 10, 1885, in Haiti. He was a military officer when the Americans invaded in 1915. He was fiercely nationalistic, so instead of surrendering to the Americans he simply resigned his position and went home to care for his family. In October 1917, Charlemagne led 60 others in an failed attack on the house of the U.S. commander in Hinche, his hometown. He was captured and sentenced to five years of hard labor. After a couple months he escaped into the mountains with the help of his guard and started a revolt that surprised almost everyone. During Charlemagne's time in prison, the corvee system was so unpopular that even the American administration noticed and began to phase it out. Too late. Initial fighting occurred in June 1918 when a gendarme force, sent out to enforce the edict, was severely beaten by a group of cacos. During the summer and fall of 1918, the cacos developed a military force of 3,000 men, with the active assistance of about one-fifth of the entire Haitian people. Led by the charismatic personality of Charlemagne Peralte, they organized a fairly sophisticated system of intelligence and security, forcing peasants to join up whether they wanted to or not. The cacos took the offensive to the gendarmerie, burning their barracks and, on occasion, administering severe defeats on the newly-formed outfit. The movement began to assume the proportions of a full-scale revolution, led by Charlemagne's cry to "drive the invaders into the sea and free Haiti." With the gendarmerie clearly on the defensive, the country tottered on the brink of disaster. In March, 1919, a belated call for another marine intervention was made by the government of Haiti. 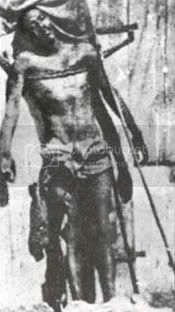 Charlemagne's cacos revolt was so successful against the native gendarmerie police forces that by spring 1919 Charlemagne and his "Chief Minister of Revolution", Benoit Batraville, was in the process of setting up a new rebel government in northern Haiti where he had taken almost complete control. The new marines commander in Haiti, Col. John Russell, was given the task of defeating this new threat to American control. But they soon learned that this wasn't the same cacos they had fought in 1915. This time the enemy had at least some grasp of the concept of guerrilla warfare eventhough they were using the same ancient weapons. Using hit and run tactics, the Cacos managed to inflict at least minor damage and casualties on the marines while avoiding any major defeats. As the months drug on without a solution, Charlemagne grew more bold while the marines grew more frustrated. 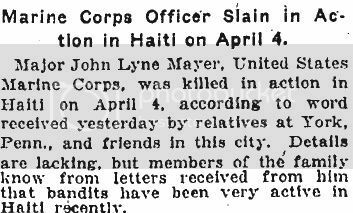 Almost everyone stationed in Haiti during the early part of the year seemed to have some knowledge of the fact that both marines and gendarmeries were killing prisoners. It is very difficult to get any witnesses to testify directly, as in the opinion of the undersigned, they were all equally culpable. "There was unquestionably some things done by the gendarmeries and some of the marines which deserved punishment." There were at least 400 illegal execution of prisoners, but probably many more. Certain records related to the atrocities mysteriously vanished. An investigation by Secretary Daniels was actively undermined by the adjutant general of the Marine Corps with the approval of Major General George Barnett. General Barnett had gone to the trouble of ordering the marine commander in Haiti to stop the "indiscriminate killing of natives." "If one chances to 'pop off' a caco, there is not even the trouble of explaining, for one's companions will do that in their laconic report to headquarters." Despite this wholesale killing of anyone suspected of being a caco sympathizer, the revolt failed to diminish. In fact, it flourished, as guerrilla campaigns are liable to do in the face of widespread atrocities. Peralte proclaimed a holy war against the "white infidels". From April to October there was 131 separate attacks on the marines by the rebels. 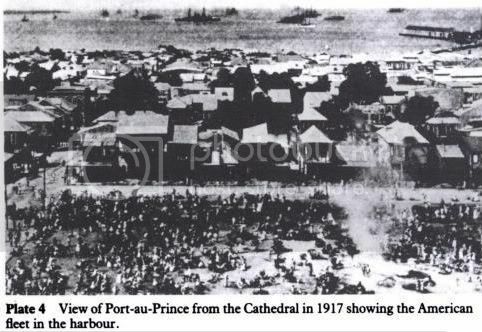 On October 7, 1919, Charlemagne and Benoit launched their boldest attack of all - an assault with 300 men on Port-au-Prince itself. While the coordination with insurgents within the city was impressive, it failed on all accounts and the attack turned into a rout with at least 40 dead. Nevertheless, the close-call forced the marines to face the idea that they were facing a full-scale revolution. Until this point information was covered up in the hopes of playing down the trouble. No longer. The order was put out to kill Peralte one way or another. "It was a pretty big order. It meant running down one Haitian out of several millions of Haitians in a country as big as the state of New York. And that one Haitian was surrounded by his friends, operating in a country which was almost entirely sympathedc to him, was protected by a fanatical body guard, never slept two nights in the same place, and must be run down in a tangled maze of mountains and valleys and jungles, of which there were no accurate maps." The job of killing Charlemagne eventually fell on Sergeant H. H. Hanneken. Like Smedley Butler's victory in the first Cacos War, this plan was bold to the point of reckless. Hanneken needed help, and so he turned to Jean-Baptiste Conze. 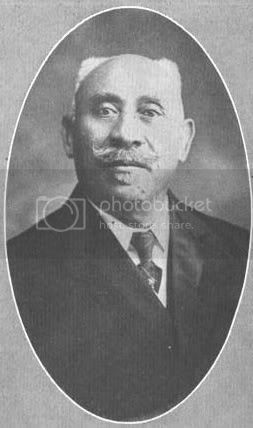 Conze was a wealthy Haitian that hated Peralte even more than Americans. He was also promised $9,600 for his help. Conze publicly denounced the Americans, and even led a fake attack on an American base with men in his employ. On October 30, Conze, having now infiltrated into the ranks of the rebels, gave the location of Peralte to Hanneken. With sixteen hand picked gendarmes, Hanneken and his second in command, Corporal William R. Button (USMC) , went through six caco outposts undetected. They were inspected by flashlight at each point, but incredibly enough, they were able to disguise their skin by the use of black cork coloring. They made it through each outpost undetected, white men "dressed" in caco skin. When they arrived at the main rebel base, Conze silently pointed out Charlemagne hovering near the light of a small campfire. The American pumped two .45 caliber slugs into the betrayed leader, killing him instantly. The bodyguard was instantly felled by automatic rifle fire. The following day Charlemagne's body was photographed and copies were placed all over Haiti in order to convince the rebels of his death. By the Americans had made a mistake. Perhaps the marines didn't realize that photographing the body of their dead leader in a Christ-like crucification pose in a catholic country might have unintended consequences. After a short period of time, the rebellion sprung to life anew. This time led by Benoit Batraville, a former police chief of Mirebalais. With the opening of 1920 the marines in Haiti took the counter-insurgency to the next level. For the first time since WWI ground forces worked in concert with seven seaplanes and six biplanes, all of whom were converted into bombers. The entire ground strategy was reconfigured into districts. Both methods were effective. The cacos were driven back time and time again. In nearly 200 engagements most of the cacos were either killed or captured. In early June Benoit was killed when his camp was overrun, thus effectively ending the war. The official number of casualties from the second Cacos War was 13 marines and 27 gendarmeries killed in action, as well as over 3,000 rebels and suspected sympathizers. 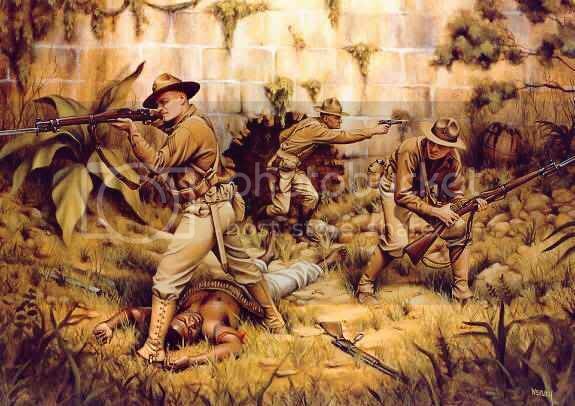 The American Occupation of Haiti continued until 1934. It probably would have continued longer if not for a general strike in Novemeber 1929 that ended with the infamous Cayes Massacre of December 6. Don't forget one of the more famous American representations of the bandit: The Hamburglar. Claiming 'bandits' and 'criminals' are the descriptive terms used in Iraq is a heck of a reach to segue into a theme on Haiti. Neither term is or was commonly used; insurgents is the overwhelmingly generic term used. Don't let the pressure to write blog entries dilute the power of the arguments within.